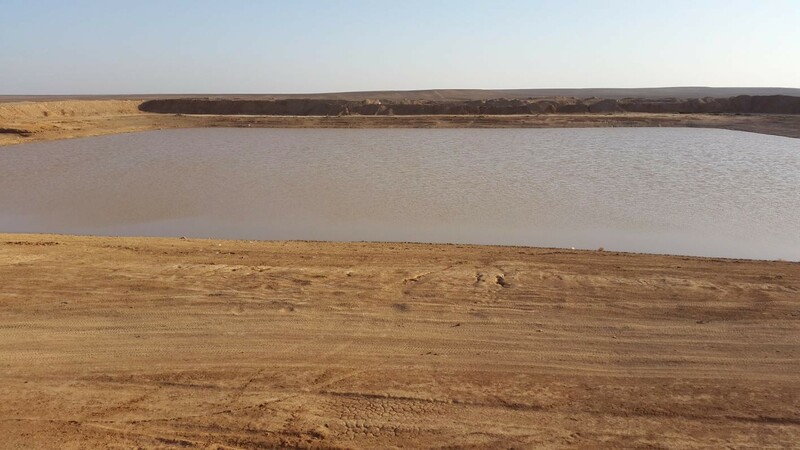 The MoEnv signed three agreements with MoWI/JVA entitled “Construction of Ponds (hafeers) and Dams in Jordan Badia” to implement the activities of “Development of Macro-catchment Structures Project”. The plan resulted in constructing more than 80 ponds and small earth dams dtill the end of 2017 (See the map below). The total harvested water exceeded 6 MCM of water used for livestock watering and for drinking purposes (Bandan site). Assessment of structures showed that communities of the badia were satisifed with locations and services provided by these structures. Locations of the implemented structures (By end of 2017) are shown in the map below. In order to visualize these structures on Google Earth using the KMZ file, send an email to the database of BRP: jbakri@ju.edu.jo. Locations of the macro water structure (pond) in the Badia. Activity 1: Selection of sites for construction of ponds and dams. Activity 2: Construction of ponds. Activity 3: Construction of earth dams. Activity 4: Enhancing awareness of local communities on the objectives of the BRP. Activity 8: Installing pumps and a pipe network at each macro-catchment to provide water for sheep and goats. Activity 9: Permitting the Rangeland Cooperatives in target areas to manage the dams and stock ponds and using the collected water for domestic use, watering animals and irrigation of small scale production of forage crops. An example on the macro water structure (pond) in the northern Badia. 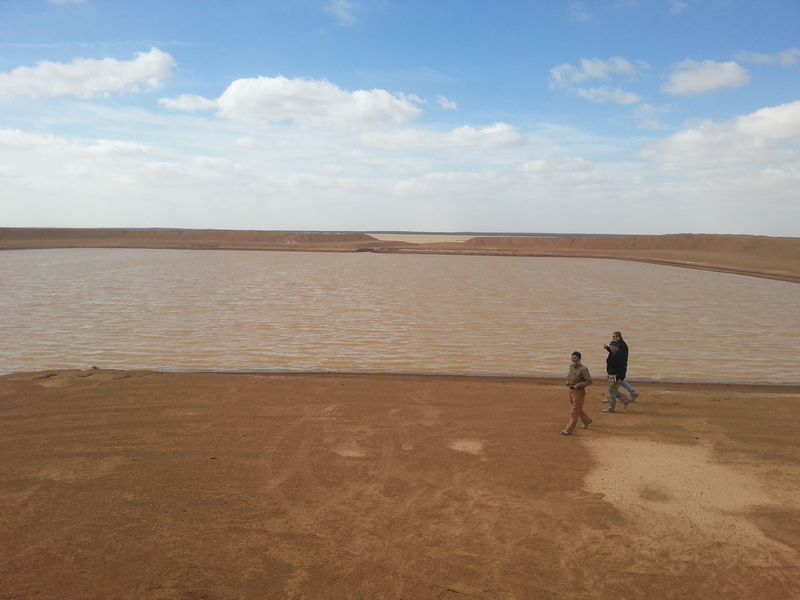 An example on the macro water structure (pond) in the southern Badia.